This delicious chocolate ice cream is completly egg- and milkless and relatively fast to make. This is an absolut classic and reminds me of my childhood. As a child we eat ice cream mainly on Sundays and would visit our local ice cream palor. I was allowed three diffrent scoops of ice cream and one of those tree scoops always had to be chocolate. If chocolate was not among my sunday ice cream, then experience was not complete. I would say that chocolate ice cream is an absolut classic. 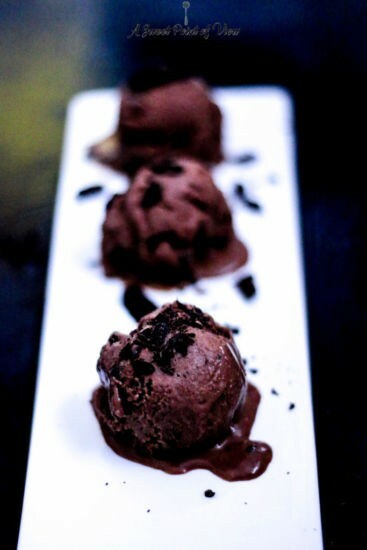 I dont know anyone who would say no to a scoop of creamy chocolate ice cream. I made this ice cream without an ice cream maker, which is absolutly possible. I dont think you necessarily need an expensive ice cream maker inorder to make good ice cream. All you need is a bit of patcience. The first trail of this chocolate chip ice cream was way to sweet. For some reason I underestimated the power of Birchsugar. Tough I wrote in the recipe that you can use Soymilk as well I would really recommend you use almond milk or any other kind of nutmilk because it really complements the chocolate and makes the ice cream nice and creamy but from experience you can also use Soymilk with a good but not as creamy outcome. 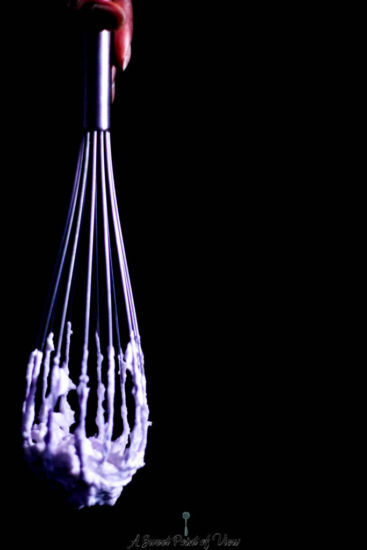 As you see in the picture below make sure to beat the vegan whip cream until it is completly stiff by adding some cornstarch. You should be able to do what im doing in the picture with the whip cream. The cream is an important factor giving the ice cream that typical creamy consistency. You start beating the cream lightly and then increase the speed. Contrary to dairy cream, the vegan cream stiffens very fast and only needs to be beaten for about 2 minutes. If your living in a hot region then make sure to refrigerate the cream immediatley if your other ingredients are not yet ready to be added to the cream otherwise you risk the cream getting runny. Refrigerated the Ice Cream can hold up to two weeks in a closed box. But I think this ice cream is not going to last for that long. You`ll probably eat it within shortest time.